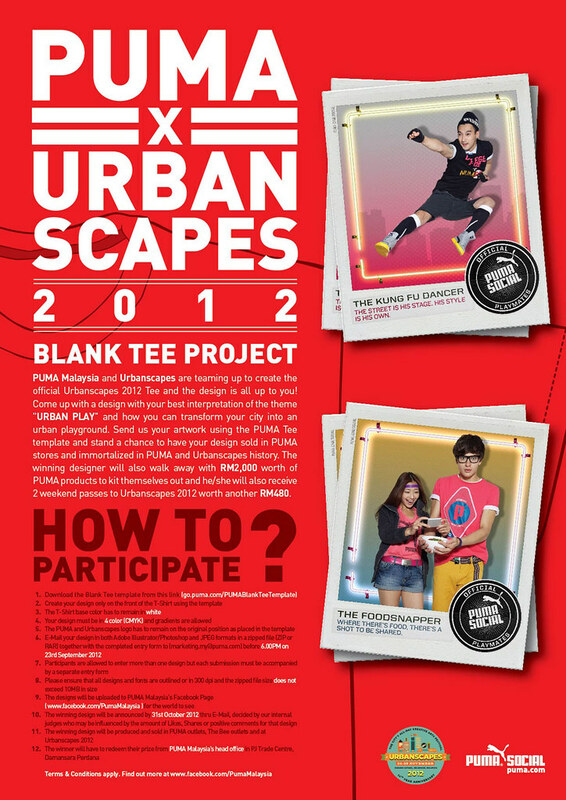 PUMA Malaysia and Urbanscapes are teaming up to create the official Urbanscapes 2012 Tee and the design is all up to you! Come up with a design with your best interpretation of the theme "URBAN PLAY" and how you can transform your city into an urban playground. 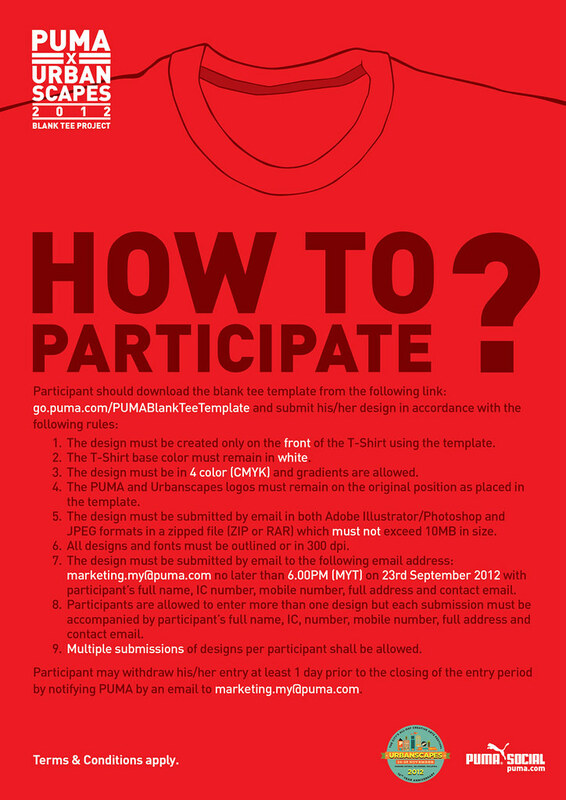 The winning designer will also walk away with RM2,000 worth of PUMA products to kit themselves out and he/she will also receive 2 weekend passes to Urbanscapes 2012 worth another RM480. -- more details below poster.